One of the undeniable facts about our generation is that we simply cannot live without our cell phones/electronics for long periods of time. Sure, some of us can easily disconnect for a few days, but when studying abroad, it is almost essential to figure out a way to use your cell phone out of the country. This was one of the things I had to learn the very hard way. A little background on what happened to me – Before leaving the U.S., my mom and I went in to the Verizon store to ask about what we should do concerning our phone plan while I was studying abroad. The agent at the store told us about this international package we could add to our plan for about $35 extra per month. He said it would include 1000 free international minutes and a small amount of data per month. He told us how to set it up and we decided to check if there were any other options before adding it to our plan. In the end, my mom thought it would be the easiest way, so she added the package to our plan online. Fast forward to my first month in Paris – When I first arrived, I was calling my parents, grandparents and boyfriend fairly often to check in and let them know what I was up to. I was in heaven to be able to call them and talk so much. I had wifi at my apartment, so I used that, and turned my data off, so as not to use up all that I had right away. I’m not sure what triggered my call to Verizon, but near the end of January or early February, I called them to ask about something else, and I asked her what our bill for this month would be. The woman on the other line proceeded to tell me that I had used almost 1000 minutes this month, adding up to over $900 in calling, and due to my limited data use, about $12 in data. I asked how it could be possible, and she looked over it, and told me that the international package only applies towards calls originating in the U.S., so since most of the calls were made by me in France, it was costing at the normal long-distance rate. Since I was still on the plan and outside the country, even if my parents had made the calls to me, it still would have charged me to receive the calls. I calmly said there must be a mistake, because a representative at the Verizon store told us this plan would be perfect, and she put me on hold to look at it again, and came back to rudely tell me that since my mother added the package to our plan online herself, Verizon was not at fault, or liable for any mistake. At this point I was livid, and told her that I was going to have to have mom call to sort this out and she says in a super fake sweet voice, “Well, is there anything else I can do for you today?” I answered no, and she said, “Well, we would appreciate you filling out the customer survey, blah blah blah” and I hung up. I let my mom know what she said so she could call them, and at the end of the day, Verizon told her they could take a whopping $45 off of our nearly $1000 bill that month. Long story short, my mom was FURIOUS, as was I, and needless to say, we are no longer with Verizon. The way I see it, even if we misunderstood what the international plan meant, I would think that a company as large as Verizon would have a system in place where they monitor or are alerted to customer activity. If someone at Verizon saw that a longtime (nearly 10 year) client of theirs was racking up $900 in international calls, I would think that a good company would get in touch with the client to ask if this is intentional.. Obviously, no one would be doing this on purpose, but instead they allow a mistake like this to happen and offer no sympathy or apology. As I said we had Verizon for about 10 years with three lines, and never had a problem, and loved our service, but after this fiasco, I would never set foot in Verizon again, and will never recommend their services to anyone. So after this blabbering, the lesson is, if your home carrier says they can offer you a plan for while you are abroad, don’t believe them. As I said, even if Verizon had no system to alert them that a client’s phone activity is strange, and it was totally our faults, they still didn’t have an international plan that fit our needs. There are several telecom companies in France, so you have many options when choosing a plan. Most likely, you will want to chose a non-contract plan, or “sans engagement” in French. (Most of the websites are only in French, so if you don’t speak it, it is nice to have someone who does to help you.) Each company will have several price options, ranging from 10-70€ per month, depending on how much data or minutes you need. The company I went with is called Bouygues, and I had no issues with it. I chose a plan for €19.99 per month, which gave me unlimited calls and texts (to French numbers), 3Go (or GB) of data, and unlimited calls to certain other countries, including the U.S. Originally, I thought it was only unlimited calls to fixed (home) phones in the U.S., but it turned out that mobile phones were okay too, which is important. So, I couldn’t send text messages, besides iMessage, to my friends back home, but there are many apps you can use to communicate, which I will talk about later. I thought this was a solid phone plan, but if I were to do it over, I would have focused more on having more GB of data than having unlimited calls, but most plans should include unlimited calls to the U.S. and then other countries will be listed as well. I did have to monitor my data usage and use wifi whenever possible to not go over my 3 GB limit each month, and I did even go over and had to pay extra one month, so be careful. Here is the website for Bouygues: https://www.bouyguestelecom.fr/ — and you can either buy a SIM for your phone, or buy a new phone to use just while abroad, it’s all up to you, but I think the SIM is a better and cheaper choice. 1. You will probably need to have a French bank account set up in order to use one of these services, because you will have to link your package to your account to take out the bill every month. There might be ways to link it to a foreign account, but it will probably be a hassle. 2. Use wifi whenever possible. In Paris, wifi can be hard to find in public, but at school and at home, try to conserve your precious data by using wifi. 3. When studying abroad, especially in Europe, you will most likely be doing a lot of traveling, so it is important to remember that when you leave the country you’re studying, i.e. France, you cannot use your internet or make calls or texts for free anymore, so turn off your data and try to connect to wifi whenever possible when you are traveling to avoid paying a lot extra on your bill. 4. If you are intending to use your phone for calling your friends and family back home, make sure the plan you are selecting offers unlimited calls to mobile phones to the country you will be calling. My Bouygues plan offered calls to mobiles for the U.S., Canada, and China only, the rest could only be home phone lines, so be careful that you won’t be restricted. 5. If you find some kind of plan where you only have data and no calling, or don’t want a SIM card and plan, remember that if you have a lot of reliable access to wifi, there are many resources you can use to call, message and video call your family and friends back home, so if you don’t mind not having internet when you’re not connected to wifi, (which will be very often most likely), not getting a cell phone plan is a good option as well. I also had a friend who kept her iPhone just for use on wifi, and bought a cheap non-smartphone from a French carrier just for calling and texting, which might have saved her money for not needing data. 6. Be aware that some people’s phone plans back home might charge them to make international calls to you, but it is free for them to receive them. However, some people might get charged for even receiving long distance phone calls, so you might have to look into that first, or adjust the method of communication with them. 7. 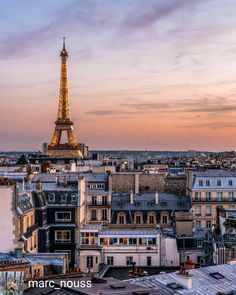 Cancelling your plan is much more complicated in France than the U.S. and most companies will require you to send a formal letter requesting the cancellation of your plan. You can’t just call or go into a boutique, you must send the letter, and then they will annul the plan effective the date you tell them you want it cancelled. Try to do this at least two weeks in advance of the time you want it to cancel if not a month. 8. Remember, you CAN survive without your phone 24/7! Try to take some time to enjoy your experience without constantly taking pictures or using your phone. Lastly, I wanted to talk about the apps and resources I used to communicate with people while I was studying abroad. Like I said earlier, there are tons of apps that allow you to message or call people and it is just up to you to decide what you like. Most French phone plans will include unlimited SMS messaging but only to French numbers, so I used it with about 5 people while I was there. Otherwise I had to use other methods because sending texts to foreign numbers costs extra. iMessage stills works, but if you don’t have an iPhone, or the person you are texting doesn’t, that won’t work. One of the most used messenger apps among students studying abroad is called “Whatsapp.” It connects with your phone number and syncs all your contacts who use the app, and you can use it to send messages, voice messages, photos and videos, just like regular texting, except that it doesn’t cost you. Obviously, this app only works if the other people have it downloaded as well, and I had a hard time getting any of my friends or family to actually download and use it, so I mostly used it with friends I made in Paris. This is a really popular app with people outside the U.S. and it is also a good way to keep in contact with friends you made after you come back home. My communication app of choice ended up being Facebook Messenger, and I used that with almost everyone from back home, and I enjoyed the stickers you can use because those make for fun conversations. It felt like using regular texting, so I just put the messenger app where my texts usually are and it felt the same. You can also make calls with Facebook Messenger, but only when both parties are connected. I had to use this method to call people several times while traveling as I couldn’t use actual calls, and it actually works pretty well if you have a good wifi connection. This is a good option to use if the person you are calling gets charged for making and receiving international calls. Other apps I used regularly to communicate were Snapchat, Facetime, Skype, Video Kik, Viber, and Oovoo. There are seriously dozens of apps used for these purposes, but one of these should do the trick. I only used this many because it is good to have backups if you are having connection problems, like if Facetime wasn’t working, I tried Snapchat or Oovoo to see if I could get better picture quality. As you can see, you can find many ways of communicating with your friends and family back home without getting a SIM card or phone plan, but all of these will require wifi, so make sure you will have a solid connection before deciding against a plan with some internet data. If you take anything away from this post, just please don’t try to stay on your regular phone plan when you leave the country because it can end up costing you and arm and a leg, and just isn’t practical. You will never be so aware of your data usage and you will become a pro at finding wifi connections in public while studying abroad, and I know you can find a solution that is right for you! Keep helping people and you’ll receive everything you desire in life.